Oxcroft No1 Colliery 47327328 (Shuttlewood). Closure announced in 1974. 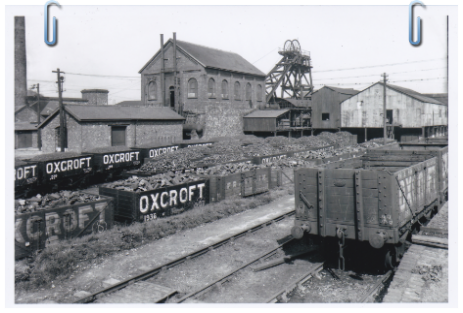 Oxcroft No3, Barlborough No1 Colliery 483758. (Clowne). 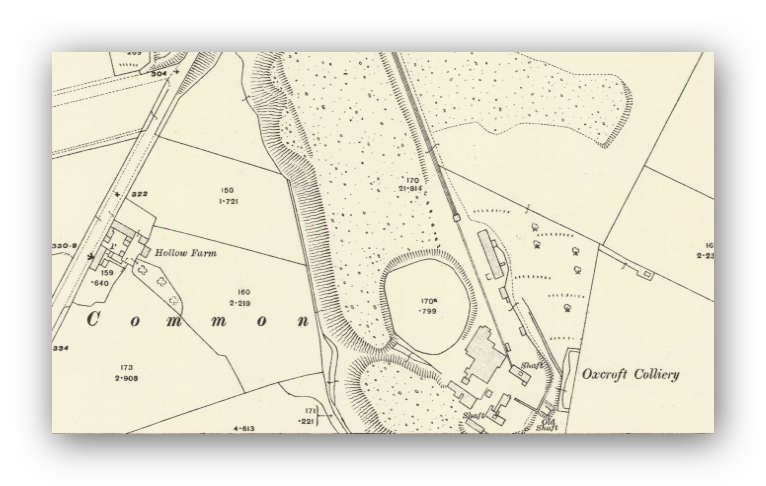 Oxcroft No4, Barlborough No2, Pebley Colliery 49107785. Oxcroft No5 Colliery 470742. 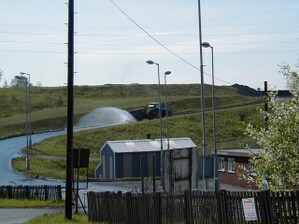 A drift mine on the site of the Oxcroft Coal Plant. There is some confusion over the actual pit identification as you can see from the naming of the collieries and of the closure and redevelopment of them. I will try and clear this up as I get new information. The first shaft, the Number One pit was sunk to a depth of around 1,603 feet to the Deep Hards seam by the Staveley coal and iron company in 1901. The seam was sixty four inches thick and was the main seam worked at the colliery until 1914. In anticipation of the seams exhaustion the company were developing another seam at the colliery the High Hazel, work commencing on the development in l910. 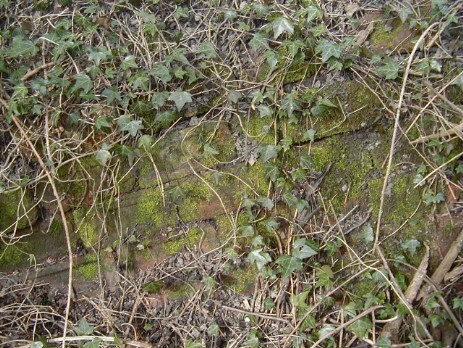 This seam was still being worked when the Oxcroft colliery company acquired the mine in 1918 Employment was provided for some 500 men until adverse geological conditions led to the pits closure later in 1918, the men transferring to the Number Three colliery which itself was in some difficulty. 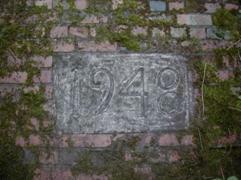 The colliery employed two shafts initially and to further develop the reserves a drift was sunk in 1949. The Number Three Pit. 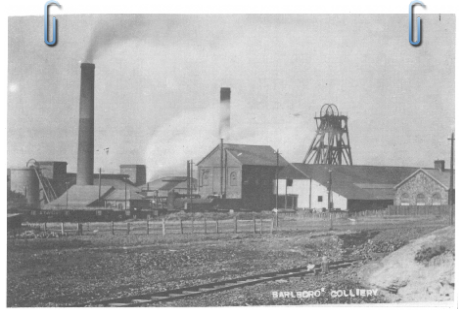 Barlborough Number One Colliery. 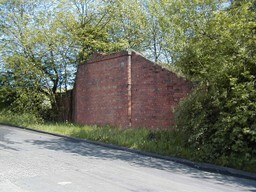 In 1871 the Staveley company signed a mineral lease with Mr. De Rodes for around 1,350 acres of steam coal in the parish of Barlborough The shaft sinking commenced in 1873 but was delayed due to the slow progress of the Staveley to Worksop railway The Top Hards coal was reached by both shafts in 1874 and two winding engines were installed and the pit bottom was opened out the following year The Staveley company had great expectations from the colliery as it was expected to offset the losses of the Staveley Hard coal pits when its production started a year later The coal was used mainly for iron production at the companies works and by 1878 the complex was complete with railway sidings, washery and brick works. The colliery was purchased in 1930 by the Oxcroft coal company limited to develop the High Hazel seam, the colliery continuing with mixed fortunes until 1946 when once again severe geological conditions and water problems severely affected production at an Oxcroft colliery. Fortunately a face was developed which allowed the colliery to flourish for a few more years. In 1949, the year of closure the colliery produced some 187,176 tons of coal from a workforce of 515 men. 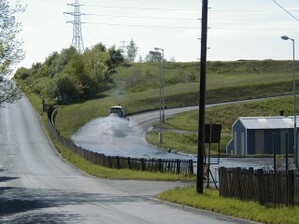 It had been planned well before the Second World War to sink drifts from the surface, underground to extend the working life of the colliery and expand production This work commenced in 1938 but was suspended at the outbreak of the war, work resuming before end of the war and the drifts were completed by 1944 and the link between Number One and Number Three collieries was complete. In 1949 the winding of coal out of Number Three shaft ceased and coal was brought to the surface via. Number Five drift and was washed on the reconditioned washery of Number One pit. 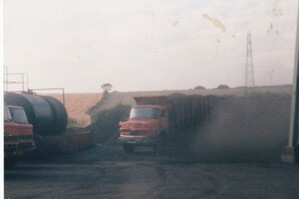 The colliery closed in 1974 and the men were transferred to Markham and other local collieries The directors of the company immediately prior to Nationalisation were Gerald Garlick, John Campbell and Richard Parker. Also called Oxcroft no4 and Barlborough no2, Sunk around 1896 and later to Top Hard seam in 1925. A.B.Markham (Later to become Sir.) Obtained a lease for the coal from the Duke of Devonshire and asked for tenders for the sinking of two shafts to the Top Hard coal at Oxcroft in June 1900. Work commenced on a railway link to serve the colliery in April 1901 from Staveley. 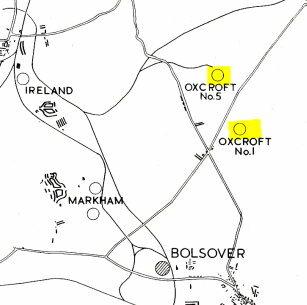 In May 1901 the Oxcroft Colliery Company was formed with a capital of £40,000 and A.B.Markham and his brother C.P.Markham as the directors. The company was part of the Staveley Company 'Empire'. Another source says 1918. The Staveley company owned the colliery initially but later it was sold to the Oxcroft colliery company, these companies have the same directors. The Oxcroft colliery was originally in Clowne and West Lea Cottages was built to house the workers there, later housing was provided near to the new colliery site at Stanfree and Shuttlewood and the rows of houses off Woodthorpe Road. The company built schools, shops, Miners Welfare Clubs and other local amenities for the use of miners and their families. The company did not however encourage the miners to form unions. Arthur Coupe. Edward Palmer. Arnie Widdowson. Circa 1950-51. Derbyshire Times. 9th. May 1857. 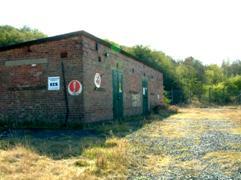 Mr. Hatton is instructed to sell by auction at the above colliery on the 18th. May a 10 horsepower atmospheric steam engine with boiler complete. 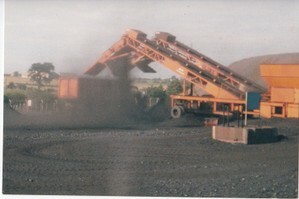 Also a 6 ton weighing machine and a machine to weigh 5 cwts. (Hundredweight). In 1906 at Oxcroft colliery a peculiar incident took place where the task of checkweighman who was appointed by the miners to oversee fair practice in the weighing of coal was disputed by two men. Both men claimed the rightful position of checkweighman was theirs and both duly occupied the box at the same time. An attempt by the butties (foremen) to remove James Spencer from the position had been made because they unhappy about him not acting in their interests. They elected a man named Vardy to do the job. 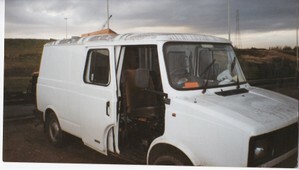 As the new checkweighman (Vardy) had not been elected by the men in a ballot by law and the case could not be settled between the rival factions, the case went to court. The president, treasurer and secretary of the checkweigh fund were taken to Chesterfield County Court where Judge Lindley awarded £25.18s.11d. for wages due to Spencer with the power to apply for an injunction to prevent Vardy from taking his job. A terrible gas explosion occurred at the Oxcroft Colliery of Messrs. George Anderson and Anderson. The disaster unfortunately claimed six lives. The explosion occurred between 12:30 and 1:00 pm. At the time there were 74 miners at work in the pit and a number of men employed in the district in which the accident happened was 18 this was a larger number than usual owing no doubt to the near approach of Easter. Derbyshire Courier. 3rd September 1921. 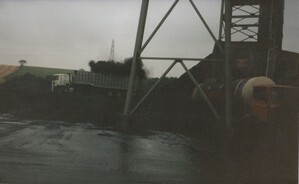 The Staveley Company's Barlborough Pit where about 850 are employed is to be closed down. Mr D.N. 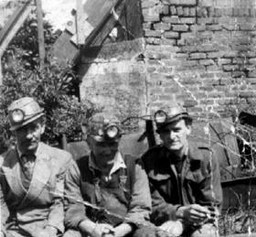 Turner Agent to the Staveley Coal and Iron Company told the Derbyshire Couriers reporter that the reason for closing the pit was that it was working at a loss and the men would be given their notices next week. 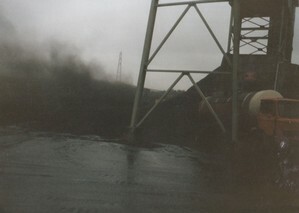 The Barlborough Colliery was a hard coal pit and has two shafts. The closing of this pit following so closely on the shutting down of Markham No1 and Bonds Main pits will cause a vast amount of suffering and hardship to Barlborough and the surrounding area. (See also Barlborough area collieries). Oxcroft No3, Barlborough No1 Colliery SK. 483758. Oxcroft No. 1. 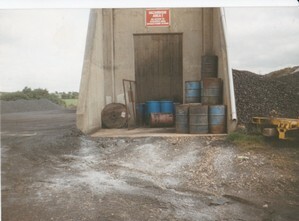 Colliery remains. Last 3 Oxcroft No.5. 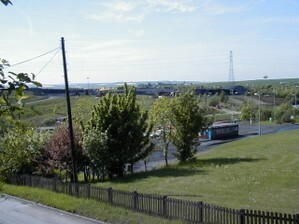 Colliery coal washery, mixer and landsale depot. 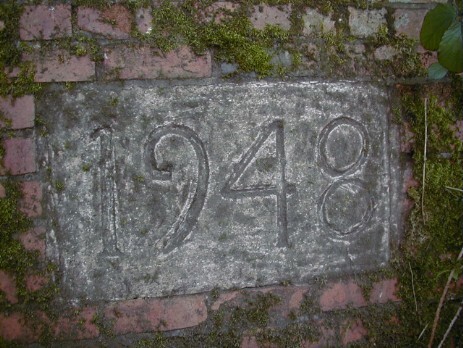 Wall to support where the mineral railway crossed the road and into No. 5. Later it was a conveyor belt. Oxcroft No. 5. I am not sure if this drift mine ever turned any coal. 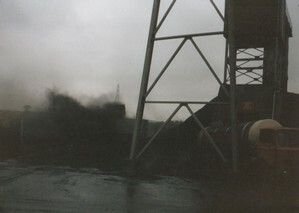 Coal stockyard & mixing plant.